Centre Wellington 4th Annual Bro-ShowYou've never seen a fashion show like this! 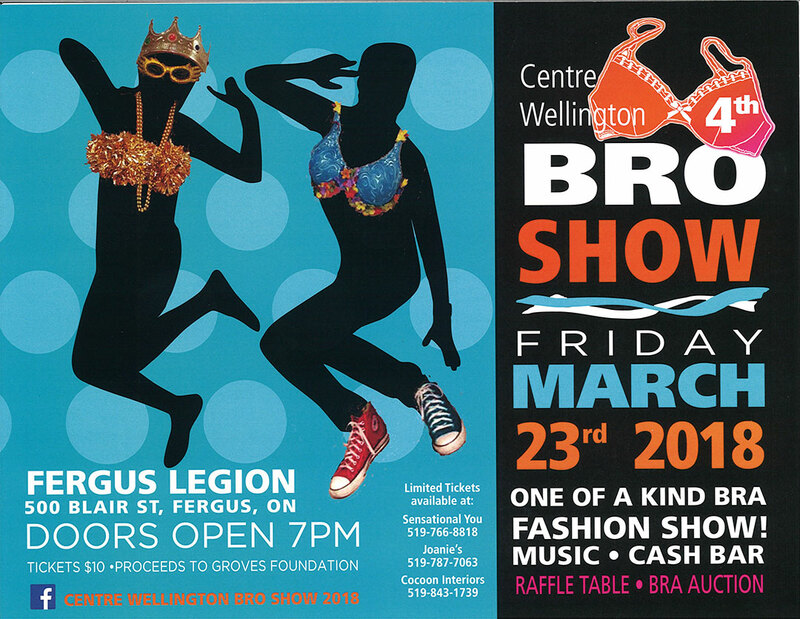 There are fashion shows and then there is the Centre Wellington Bro Show 2018! We guarantee you’ve never experienced anything quite like this. In a word: titillating! We can practically guarantee a wardrobe malfunction you won’t soon forget. And it’s all to support Groves Foundation – and our future Groves Memorial Community Hospital. Picture it: Local celebrity men modelling bras designed and decorated by local artisans, retail shop owners, businesses and other creative types. That’s right. Costumed and dressed to impress, the guys are showing their support by strutting their stuff with a walk on the wild side of the runway. From bold bosomed beauties to sophisticated elegance, to spectacular artistic expressions of cleavage-inducing fashion, these bras make a statement – and when the show is over – these handcrafted braziers are up for auction. 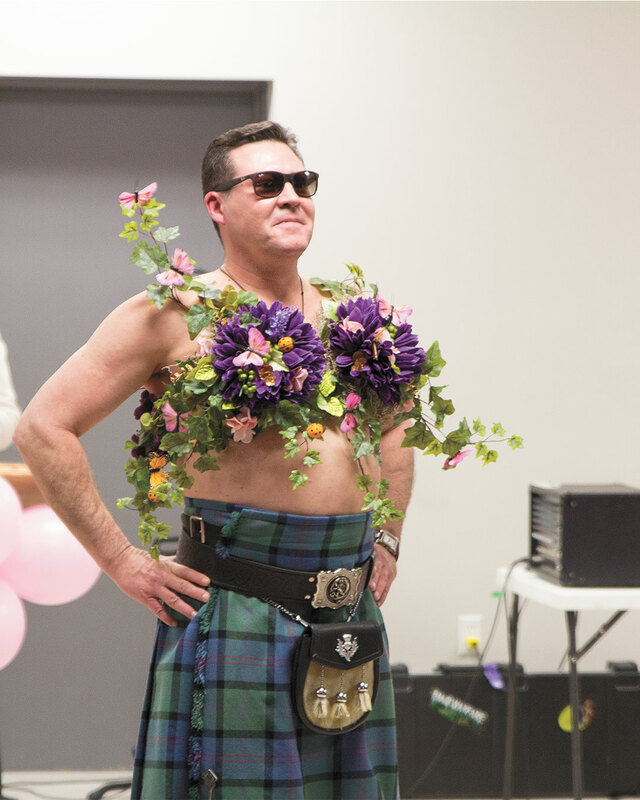 The Bro Show began four years ago, a concept created by several community leaders as a fundraiser for a new mammography machine, an important piece of equipment for the prevention and early detection for breast cancer. 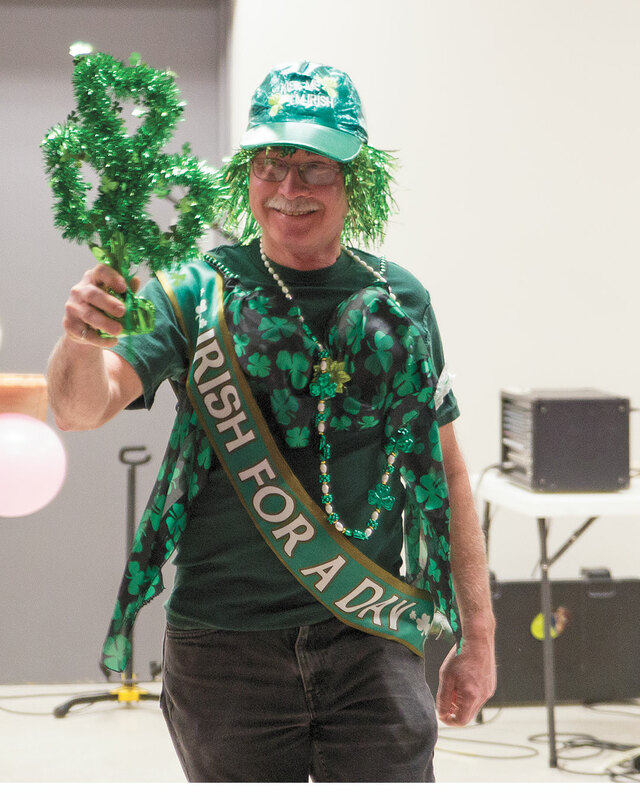 The event pumped up the community and in its first two years raised over $13,000 toward digital mammography equipment that is now at Groves Memorial Community Hospital in Fergus. This year’s event is stacked with fun, from the one-of-a-kind fashion show, the music, cash bar and hors d’oeuvres, to the raffle table and Bra Auction. We’ll be raising money and lifting … um … spirits in support of Groves Foundation as they look to the future and the construction underway for the new Groves Memorial Community Hospital, slated to open by 2020. Pad your braziers (and your pockets) and get ready to support the Groves Foundation! The event takes place at the Fergus Legion. Tickets are just $10. Doors open at 7pm. Share this unique event with your friends!